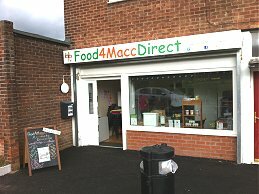 In September 2010, our sister organisation Food4MaccDirect set out to make it easier to buy local food in Macclesfield. It was set up as a separate not-for-profit company limited by guarantee, and operated a click-and-collect website, from a distribution hub on Gilchrist Avenue, generously made available by Macclesfield's Peaks and Plains Housing Trust. Food ordered on-line before midnight on Sunday, was brought to this hub to collate customers orders, and sent out on Thursday afternoons to pick up points hosted by local bars: - The Snowgoose in Macclesfield, The Crown Inn in Bollington, and The St Dunstans Inn in Langley. A home delivery service was also offered. The four days, between last orders and actual pick up by the customers, allowed fresh produce to be accurately ordered and resulted in almost zero wastage. 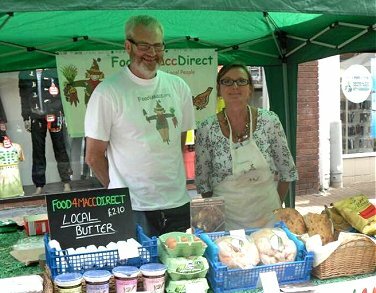 Food4MaccDirct achieved a lot – promoting 50 local food producers, and delivering about £178,000 worth of local food, to over 300 customers. 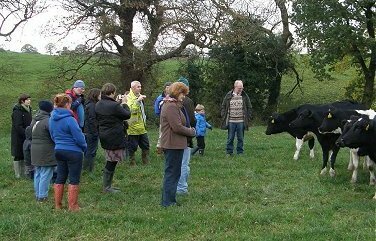 Their work raised awareness of where our food comes from, both through direct sales, diverse publicity activities - using press, radio, and social media - and their presence at Macclesfield's monthly Treacle Market. 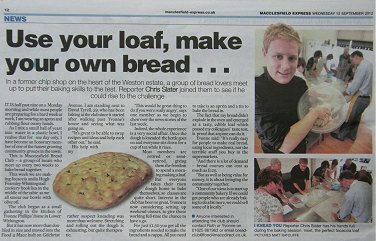 A Bread Club was established to encourage people to bake at home, and numerous visits to local food producers were arranged. See details on The Blog and Facebook page. Costs were kept down by using a lot of volunteer hours, so that 80% of the price paid by the customer went to the supplier, and half the produce came from within 15 miles of Macclesfield. In the following 6 years, local food became much easier to get hold of, with The Treacle Market the prime example of this, but also with a number of independent retailers beginning to stock many of the same products that Food4MaccDirect first brought to market. One of these retailers, set up shortly after Food4MaccDirect, The Corner Plot on Park Lane, is itself a not-for-profit community enterprise. 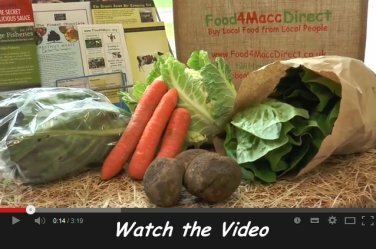 Food4MaccDirect was created to boost trade in local food and, since it didn’t want to use its (largely) volunteer staff to have an adverse effect on the local food businesses that were trying to make a profit, the Board decided in October 2016 that it was the right time to stand aside, and to encourage their customers to support those other businesses instead. The last orders were placed at the end of October 2016.
and its Facebook and Twitter Accounts. or watch the video on the left, made for us by students of Macclesfield College.